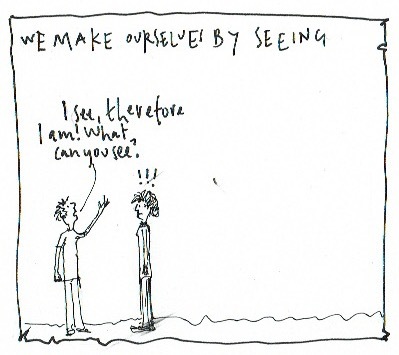 We see what we want to see, not necessarily what is there. When our expectations are not met, disappointment and unhappiness may follow. To see only what we want to see hides so many things we do not want to see and with these, things we not able to see. Life is seeing, it’s learning to open our eyes so we may see more. When we see more, perhaps joy will follow. Seeing is about who we are, who we are becoming, it’s full of stories and fables and myths with triumphs and failures, with conflicts and strivings. 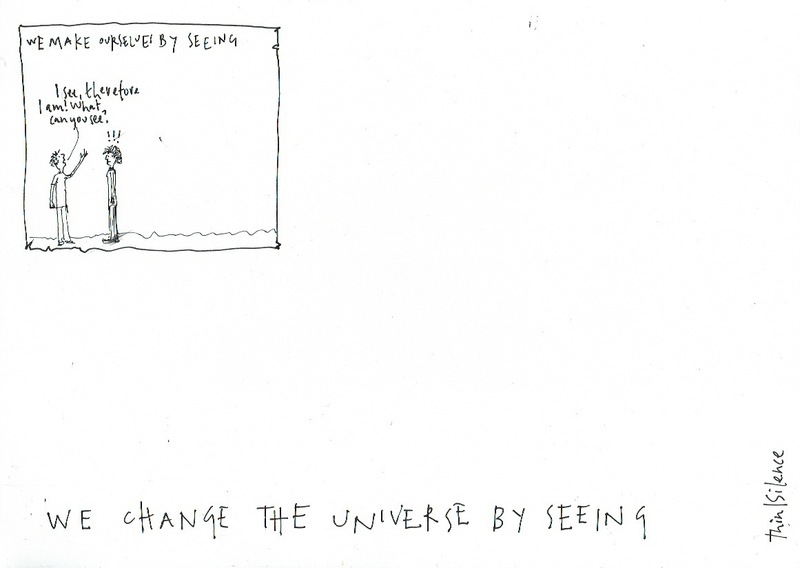 It is no small surprise, then, that we change the universe by our seeing.